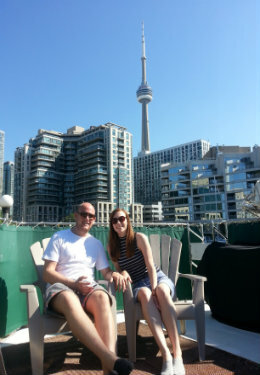 If you must travel to Toronto for business then why not enjoy the relaxing feel of comfort and peacefulness, which our waterfront floating hotel offers. 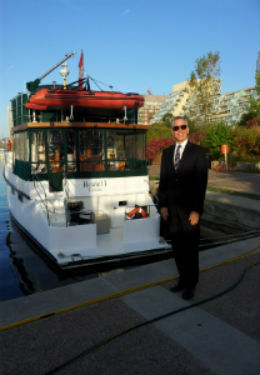 Making Waves Boatel is within a 10 minute walk to the Metro Toronto Convention Center, 17 minute walk to the Allstream Centre or the Direct Energy Building, 20 minute walk to the financial district, Union Station and 10 minute to Billy Bishop Island Airport. There are hundreds of restaurants within a 10-20 minute walk to select from. Having both worked in the IT Industry, we understand what business travel used to be like for us, so we have a created a special package which offers all the conveniences of a large hotel but with a feeling of home. Our goal is simply to make your business travel an enjoyable experience. Our location is easy to get to, safe and a great place to relax and unwind after a long day. We are pleased to offer the following “Business Amenities” at no additional charge. Our solo business traveler will enjoy full access to the boatel with no other guests and can host business meetings for groups of 2-6 people on board. This rate is for a single traveler booking the whole boat with spouses staying for free. Additional cost for meetings. Please quote BUSINESS when booking and your confirmation will be adjusted to reflect the discounted pricing. CONFERENCE & BUSINESS TRAVEL | $190 per night in one of our cabins or $265 for the Bondi Stateroom (2 night minimum) for Solo business travelers.